This will be accomplished by seeking to improve the scientific and technical basis for environmental management decisions by the Department of Energy (DOE) and by fostering public participation in that search. 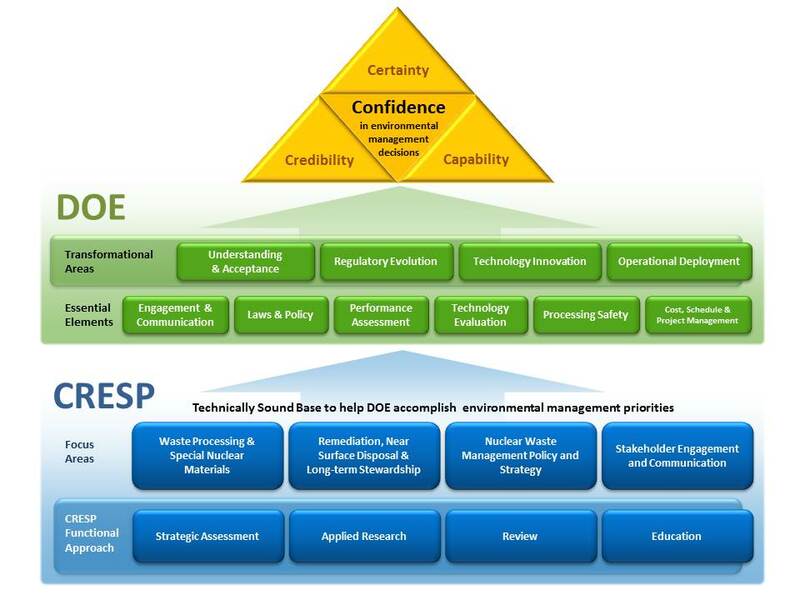 In its 17 years, CRESP consortium has been asked to, and has identified and addressed many factors needed by the Environmental Management (EM) Office of the DOE to suceed in its “journey to excellence”. 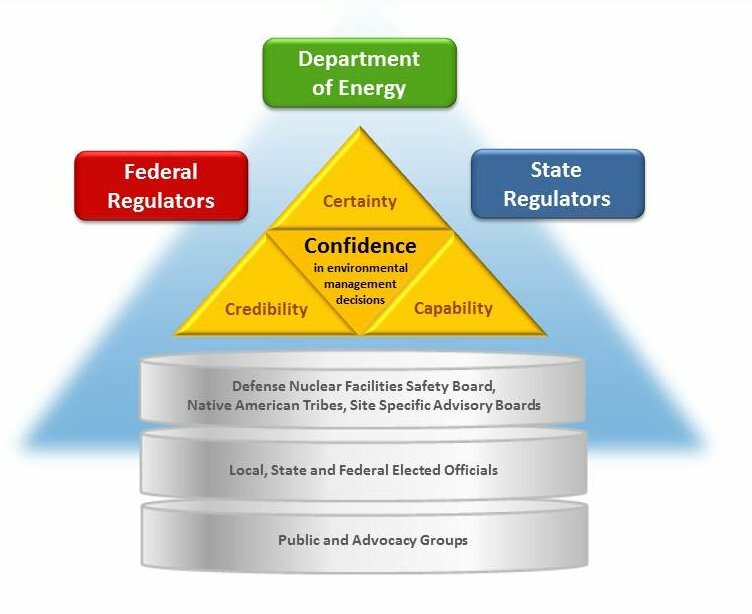 EM leadership, many of its regulators, affected tribes and other stakeholders have recognized that given the inherent complexity and uncertainty of EM’s legacy waste management task, additional credibility and capability helps build the vital fundamental confidence in EM among those it affects and on whom it depends. implemented through four approaches available to an academically-based consortium such as CRESP. 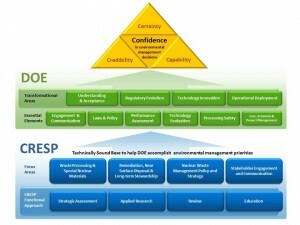 The overview graphic to the right illustrates how CRESP understands these dynamics and its own objective and roles in relation to them. This holistic diagram of the relationship between EM needs, CRESP III work, and the stakeholders both organizations must satisfy illustrates how CRESP defines its own four functions and how they relate not only to each other but to the ways in which CRESP actually operates and sets priorities among those functions.